Chowmein Noodle Making is very good Small Business idea. You may start a Small Business at Home easily with this machine. Noodles are very favourite food to almost all men, women and children. The demand is found all throughout the year. 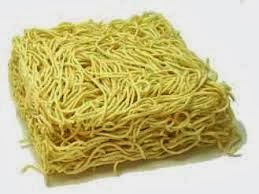 To make noodles you need Noodles Making Machine, Mixture Machine, Boiler Machine, Dryer Machine, Packing Machine and Weight Machine. To make noodles the main material is flour. Flour is necessary to make vegetable noodles. To make non-vegetable noodles you may mix eggs. At first you have to knead flour with the Mixture Machine. There are two rollers made of steel located in the noodles Making Machine. You have to put the mixture on these two rollers. Now start the machine. The flour will contain the shape like a sheet. Now put the sheet of flour on the hatched roller. Then cut the chowmein in indicated size you want. Now boil the chowmein by vapour with the Boiler Machine so that the chowmein will not be broken. At last dry it with the Dryer machine and measure it. Then pack it and you noodles is ready. You need 2 hp motor and 220 to 440 volts to operate these machines. The price of the Mixture Machine is approximately Rs.18, 000. If it is made of stainless steel then the price is approximately Rs. 30,000. The price of the Noodles Making Machine including motor is approximately Rs.36, 000. The price of the Boiler Machine is approximately Rs. 8,000. The price of the Dryer Machine is approximately Rs.40, 000 to Rs.80, 000. The price of the Packing & Sealing Machine is approximately Rs.1000.